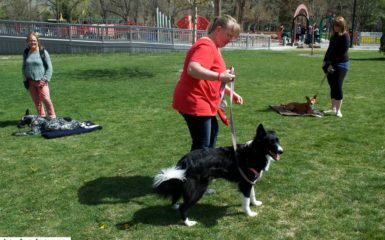 Many of you have read our past Salt Lake City dog training posts in regards to family life and your dog. This has been a hot topic for me, as I have definitely been focusing on how I can incorporate Seiki into my family life and still meet my daughters needs. Throughout the last 1.5 years I have come up with some quick ways that you can give your dog attention and exercise. Let’s keep our dogs a part of our family! 1.) Create play during meals. You already feed your dog one to two times a day. This is an easy time to give your dog something to do! Stop feeding your dog in his / her food bowl. Put your dog’s meal in a toy such as a buster cube or Kong toy. You can also spread out your dog’s meal on the floor or in the yard so that your dog has to search for his food. This is a super easy game to play multiple times throughout the day. I live in a small apartment, and there is still enough room to play fetch with Seiki. He absolutely loves it! This is also a great time to do some obedience. Ask your dog to sit or down before throwing the ball. Despite what you might read tug-o-war is a great game to play with your dog. 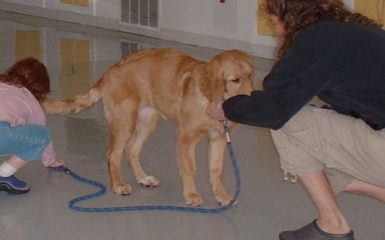 It is important to incorporate obedience commands during your game of tug such as drop, sit, etc. This will support your dog to decrease his arousal level. 4.) Give your dog some treats in a Kong. Frozen peanut butter mixed with your dog’s kibble is one of my doggie’s favorite treats. 5.) Cuddle with your dog while you are relaxing. 6.) Tricks and obedience training are a fun way to give your dog some mental stimulation. 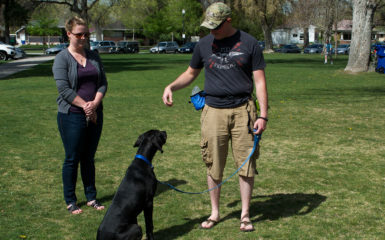 Many of our Salt Lake City dog training clients find trick training to be a blast! Your sessions only need to last 2-5 minutes long. These short sessions are easy to fit intermittently in your day with your dog. 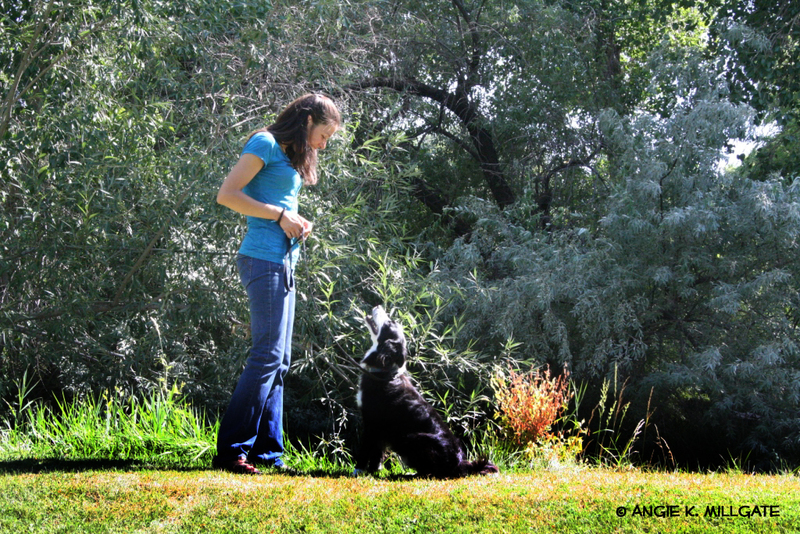 Trick training provides awesome mental stimulation for your dog! Train your dog to wave, spin, roll over, shut the door, etc. 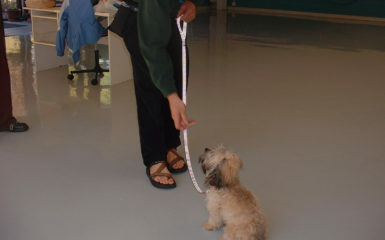 We would love to hear from you, in regards, to dog training. Salt Lake City, especially has numerous dog owners. What techniques above will you be incorporating into your life this week? If you are already doing many of the above, which ones are you doing with your dog most frequently? Very cool tips – two birds with one stone! Thank you! I am super happy they are helpful for you! What have you been applying with your dog from what you read? Kathie! I am glad you loved reading this post and I am super happy to see you here again! I am super excited to read about your Great Dane on your blog. How fun!! I totally agree that these exercise ideas are great for puppies too!! I hope others realize that too! Namaste! That is awesome! I thought about this other day when I asked Seiki to wave, spin, and jump. He loved it and took me less than 2 minutes to request! And cuddling with them, very nice tip to play during meals. They are going to love it! Anjara I am happy to hear that this was helpful for you! Namaste!